This is an advanced course on Kubernetes which covers cluster handling, high availability and more in-depth knowledge of Kubernetes resources with hands on lab exercises. This course assumes the candidate is already familiar with Kubernetes and has practical experience to work on orchestration with Kubernetes and has created and used different Kubernetes resources. Attending Kubernetes Essentials – Level 2 and Certified Kubernetes Administrator (CKA) Certification Advanced BootCamp – Level 3 courses will equip you with the complete knowledge required to attempt the CKA (Certified Kubernetes Administrator) Certification. Why CKA (Certified Kubernetes Administrator) Certification will be great to have? Mamta has more than a decade of experience in Telecom domain and has been working in the Cloud domain for last 4 years. 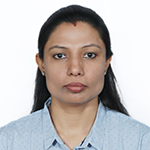 She has worked on first ever Cloud RNC (WCE – Wireless Cloud Element) which used VMware as a Hypervisor and VM Manager provider with their ESXi and vSphere products. She was a part of the pilot project of Alcatel-Lucent in moving the complete wireless domain to the Cloud. She has around 4 years of experience in deploying and managing OpenStack infrastructure primarily on Red Hat Platform, Centos and Ubuntu. She has worked with organizations on setting up their complete private Cloud on OpenStack using PackStack / TripleO OpenStack deployment methods. Mamta is currently working on architecting Cloud strategy for enterprises which include latest DevOps technologies like Chef, Ansible, Docker, Kubernetes, OpenShift, etc. She is tech-savvy and has attained several certifications. She is a Red Hat Certified Instructor who delivers training to corporates and individuals on several Red Hat Cloud and DevOps courses. Batch for this course is not scheduled as of now.